In the second century, a Christian leader named Marcion suggested we get rid of the Old Testament. He created his own version of the New Testament in which he had only Luke’s Gospel and several of Paul’s letters, but he removed all the quotes from the Old Testament, saying that the Old Testament God was inferior, simply the tribal god of the Jews. Marcion was excommunicated for spreading this idea, and the early Christian church started to form its own canon of Scripture, including four Gospels and all the letters of Paul, including the quotes from the Old Testament. The Christian church still keeps the Old Testament as part of the Bible, believing the Old Testament gives us a context that helps us understand who Jesus was and what he did for our salvation. 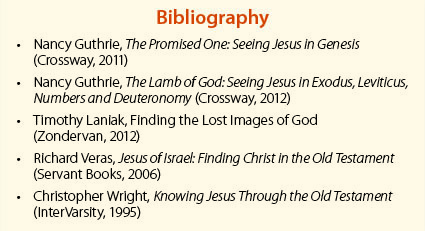 Still, the Old Testament is confusing to many—so different from the New Testament. All that history and all those wars don’t seem to have much to do with Jesus or with Christian life today. There are laws and regulations on one hand, and on the other there are Jesus and Paul, who seem to be talking about something quite different. We have ancient Judaism on one hand and Christianity on the other. Some Christians emphasize the Old Testament more than others, keeping the seventh-day Sabbath, the dietary laws of the Israelites and even some Jewish annual festivals. 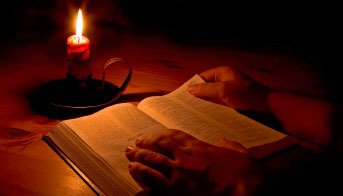 Other Christians are more like Marcion—they never read the Old Testament. A few are even anti-Jewish. In Nazi Germany, prejudice against Jews was unfortunately supported by the church and went along with a dislike for the Old Testament. Yet the Old Testament Scriptures speak of Jesus Christ (John 5:39; Luke 24:27), and it is good for us to hear what they have to say. Further, they share God’s larger purpose with humanity, the reason that Jesus came to save us. The Old Testament, as well as the New, tells us that God wants to live with us. From the Garden of Eden to the New Jerusalem, God’s goal is that we will live with him in harmony. Genesis 1 describes the creation of the universe by a stupendously powerful God, who simply speaks everything into existence. God said, Let this happen, and it did. He gave the command, and it happened. In contrast, Genesis 2 describes a God who gets his hands dirty. He enters the creation, forms a human being from dirt, plants trees in the garden, talks with the human, and fashions a companion for the man. Neither story gives us the full picture, but together they reveal different aspects of the same God. Even though God has the power to create by command, he chose to be personally involved in the creation of humanity. He spoke to the man, brought animals to him, and orchestrated events so the man would take delight in his new companion. 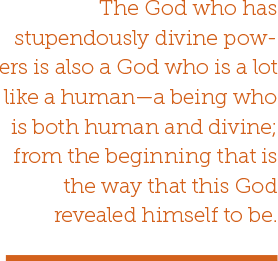 The God who has stupendously divine powers is also a God who is a lot like a human—a being who is both human and divine; from the very beginning that is the way that this God revealed himself to be. Although Genesis 3 reports a tragic turn of events, it also reveals more about God’s desire for humanity. After the first humans sinned, God was walking in the garden just like normal (3:8). The all-powerful God had become like a human, making noise as he walked in the garden. Though he could appear instantly if he wished, he chose instead to meet the man and woman on their level, at their speed. This did not seem to surprise them; God may have walked and talked with them for many days. They had no fear before this, but now they were afraid, and they hid. Although they were shrinking away from the relationship, God did not. He could have easily left in a huff, but he did not abandon what he had made. There were no lightning bolts or displays of divine anger. God asked the man and woman what they had done, and they answered. He then told them the consequences they would experience as a result of what they had done. He then lovingly provided clothes for them (3:21) and took steps to ensure that the humans would not live forever in their state of alienation and shame (3:22-23). Throughout Genesis we see God interacting with Cain, Noah, Abram, Hagar, Abimelek, and others. Of special importance for us is the promise he made to Abraham: “I will establish my covenant as an everlasting covenant…to be your God and the God of your descendants after you” (17:1-8). He promised an ongoing relationship with his people. Many of us know the basic story of Exodus: God called Moses, brought plagues upon Egypt, brought Israel through the Red Sea to Mt. Sinai, where he gave them the Ten Commandments. But we often overlook why God did these things. When Moses talked to Pharaoh he quoted God saying, “Israel is my firstborn son… Let my son go, so he may worship me” (4:22-23). They were his children—his family—with inheritance rights. God offered a covenant that would give the people direct access to him (19:5-6)—but the people told Moses, “Speak to us yourself and we will listen. But do not have God speak to us or we will die” (20:19). Like Adam and Eve, they were afraid. Moses went up the mountain for more instructions from God (24:18). Then come several chapters about the tabernacle, its furniture and the worship. But amidst all this detail, we should not overlook the purpose: “Have them make a sanctuary for me, and I will dwell among them” (25:8). From the Garden of Eden, through the promises to Abraham, through the calling of a people out of slavery, and even into eternity, God wants to live with his people. The tabernacle was a place for God to live with his people, to be accessible to them. God told Moses, “I will dwell among the Israelites and be their God…. I am the Lord their God, who brought them out of Egypt so that I might dwell among them” (29:45-46). When God passed the baton of leadership to Joshua, he told Moses what to tell him: “The Lord your God goes with you; he will never leave you nor forsake you” (Deuteronomy 31:6-8). That is a promise for us today, too (Hebrews 13:5). That is why God created humanity from the very beginning and why he sent Jesus to save us: We are his people. He wants to live with us.